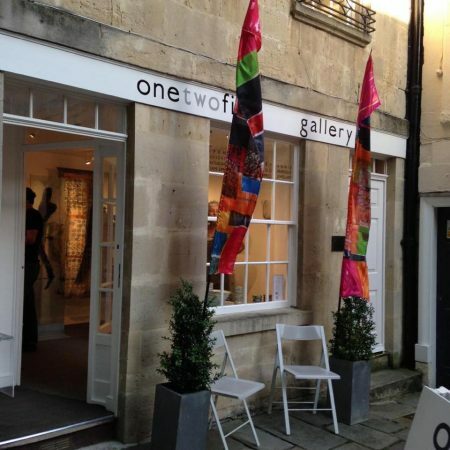 ONE TWO FIVE GALLERY is at 4 Abbey Green Bath BA11NW. OPEN FROM WEDNESDAY TO SUNDAY between 11am and 5pm and by appointment any other time. You will find my painted clothes, scarves, glass and paintings, ceramics – and either myself, Carole Waller, or Gary Wood looking after the space. I moved to Bath in 1994 with the idea that I wanted a shop window with a studio behind – It has taken a while as I was busy with shops such as Harvey Nichols, Liberty of London , Bergdorf Goodman in New York and galleries all over the world – so i have been tucked away in my garden studio for all this time. 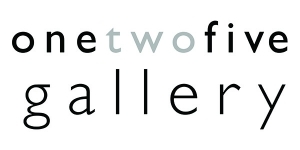 Finally, after 17 fantastic years putting on exhibitions at the private gallery in the house at ONE TWO FIVE – we are delighted to have relocated the gallery at 4 Abbey Green in the middle of the city under the lovely plane tree in the square close to the Abbey.